Sacked Delhi Minister Kapil Mishra during a meeting with ACB Chief Mukesh Meena at his office, in New Delhi. The Governor who on Thursday had cancelled the contract saying there was "some bungling" in it, has also asked the Anti-Corruption Bureau (ACB) to investigate the matter. 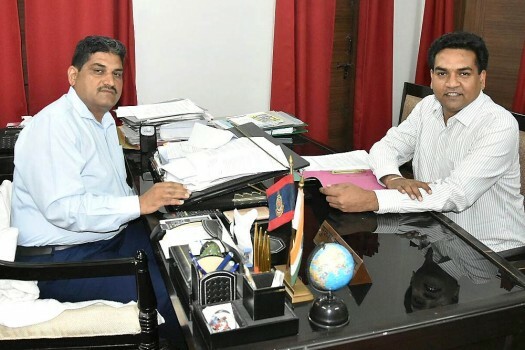 The Anti-Corruption Bureau (ACB) has arrested an Additional Metropolitan Sessions Judge and two advocates in Telangana on the charge of accepting Rs 7.5 lakh bribe for granting bail.